Palo Santo essential oil (Bursera graveolens) in bulk to wholesaler prices from Peru. The essential oil of Palo Santo is known as a spiritual oil, with a strong tradition in which it was used by the Incas to purify and cleanse the air and rid of negative energies. 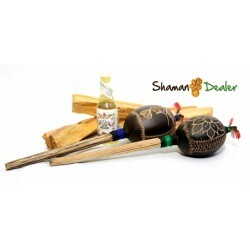 Is known as a spiritual oil, with a strong tradition in which it was used by the Incas to purify and cleanse the air and rid of negative energies, the essential oil can be almost always used directly without being diluted, but take caution and apply a drop in the forearm to rule out the possibility of a possible allergic reaction. Massage into the skin to relax and calm the nerves, relieving depression, or to help get a good night's sleep, You can massage the chest and neck (to help the relief of a cough).